Australia’s third largest metropolitan centre and capital of Queensland in Brisbane, which residents call their very own “big, bold, beautiful” city for its impressive sea of houses mirrored on the river. 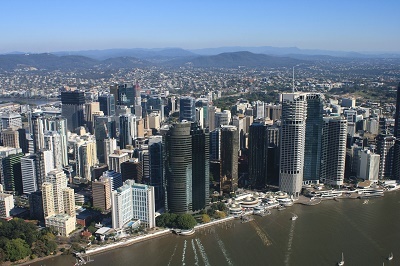 Brisbane holds a population of 2,238, 394 people with an expat population of 28%. Indeed, most foreign nationals are attracted to Brisbane's warm and upbeat climate, lush greenery and laidback lifestyle despite the hustle and bustle of the southeast cities. The city has an employment rate of 75%, and expats are sure to find employment within the major job industries such as the healthcare and social assistance industry along with the retail trade and manufacturing industries. Expats looking for accommodation can benefit from hiring a real estate agent to assist them, but they can also opt to explore Brisbane’s neighbourhoods. Popular locations around the city include the Central Business District, the city's main business center which houses the towering Conrad Treasury Casino; South Bank Parklands, a haven for beach lovers and home to the State Library; the Riverside District which comes alive with the greens of the City Botanical Gardens and the distinct air of sophistication at the Eagle Street Pier for diners and wine lovers; Fortitude Valley and Chinatown, which crawl with mouthwatering Asian cuisine and vibrant personalities of native store owners; the Kangaroo Point & Woolloongabba, famous for its awesome sandstone cliffs and home of the Brisbane Lions Football Team; the Brisbane Cricket Ground; the peaceful yet energetic suburbs of Milton, Paddington & Rosalie and the Bay areas of Moreton, North Stradbroke Island; and Bribie Island which are coastline marvels to tourists and locals alike. Expats moving to Brisbane from other tropical countries will have no problem with its typically high temperatures. But those who are used to the cold may find the city's weather a bit of a challenge. It has a subtropical climate with warm weather for most of the year and most of the rainfall coming during the summer. Winters are typically dry with blue skies. It is wise to bring much cool and casual clothing as it can get really hot. No expat can ever come to Brisbane complete without the highest SPF sunscreen to protect against the sun, especially between 10am-2pm when the sun can be scorching. As an expat trying to make a home out of this city that is so passionate about the water, one cannot come without board shorts and bikinis, along with sunglasses and, of course, wide-brimmed hats which can become a wise investment for protecting one's face, ears and neck during the hottest days. There are many things one can do in this city, beginning with its nightlife that pulsates with discos, jazz clubs, pubs and all-night entertainment. Those seeking quieter and more sophisticated entertainment can indulge in world-class theatrical performances and concerts in the city's several performing arts centres. Shoppers will never come home empty-handed as the areas teem with grand gigantic department stores and shopping malls and even personalized boutiques for the picky. One can walk into the different restaurants that suit all tastes and budgets from affordable to expensive, from fast food to gourmet, and still step out full and happy. Aside from being a tourist hotspot, Brisbane is also the commercial and financial nerve centre of Queensland, and is fast emerging as the country's preeminent seaport while already housing the country's largest airport. Its industries, mainly food processing and canning, play a vital role in its growth along with its successful agricultural and mining industries. Of course, tourism has been contributing its constant share in the progress of the city's economy. Citizens and expatriates in Brisbane use English as the main language, although locals are world-famous for their unique sound and slang, which are both fairly easy to adapt to. Due to Brisbane’s multiracial and multicultural environment, its inhabitants speak other languages which mostly include Chinese, Greek, Lebanese, Turkish and Vietnamese. Various religions also exist, the most prominent of which include Roman Catholic, Seventh Day Adventist, Pentecostal and Jehovah's Witnesses. Although at the height of cosmopolitanism, Brisbane remains a warm and welcoming community of locals and expats who continue to work together in making it even more attractive to those who have yet to find their way to the sunny city. Being the capital of the ‘Sunshine State’ Queensland, you should brace yourself to Brisbane’s warm, subtropical climate. This city is also famous for its terrific beachfront like the Sunshine Coast and Gold Coast where you will see a lot of locals partying. Aside from its many tourist attractions, Brisbane also serves as a magnet for expats from different parts of the world because of its thriving economy and significant role in empowering Queensland’s economic status. Here are a few valuable tips to assure that your relocation to Brisbane goes as smoothly as possible. It is important to do a research about the city before you move in. Many online portals contain advertisements of real estate properties in Brisbane including the prices and locations. By doing this, you will have an idea of how much to prepare for your rental budget. Once you arrive, you can start looking in local newspapers for listings or better yet, contact local realtors to help you with your search. These professionals know the neighbourhoods very well and can present you with many options. The average monthly cost for your basic utilities like water, gas, electricity and garbage collection is €110. You can also apply for internet connection which is around €50 per month and use a mobile phone where a minute of local prepaid call is charged €0.20 per minute. There is sufficient supply of housing in the rental market for expats looking for either short term or long term lease agreement where you can choose from studio type to a furnished luxurious flat in the city centre. The typical cost of a one bedroom apartment in Inner Brisbane starts at €1200 per month and €2300 for a three bedroom unit. If you prefer to live outside the busy metropolitan, you can also look for accommodations in neighbouring suburbs for around €880 per month for a one bedroom apartment and €1300 for a three bedroom unit. Brisbane is where you will find some of the finest schools and universities in Australia. Most expats choose to enrol their children in international institutions like the EF International Language Centre Brisbane. Education in the city is mandatory for children between the ages of six and sixteen. You can also check local schools like the University of Queensland, Brisbane, which was established in 1909. With all the preparations that entail relocating abroad, the last thing you would want to worry about is a glitch in the delivery of your precious belongings. The best way to handle this is to hire professional shipping and removal companies to help you out. These movers offer door to door service to Brisbane and ensure safe and efficient moving process. It usually takes up to 47 days, depending on your country of origin, for containers to arrive at the Port of Brisbane where the cargos will be inspected by local customs officials. For more information about the city’s import regulations, click here. To bring your pet to Brisbane, you must ensure that it is microchipped and has relevant documents such as Rabies Vaccination Certificate and International Health Certificate. You should also inform the local government regarding your arrival so they can tell you the quarantine facilities that will handle your pet; this is in compliance with the ten-day mandatory quarantine period in Australia. Brisbane is no place for you to bring thick winter clothes and boots because the temperature can get really hot. But fear not, the city has beautiful white sand beaches that will surely cool down your nerves. 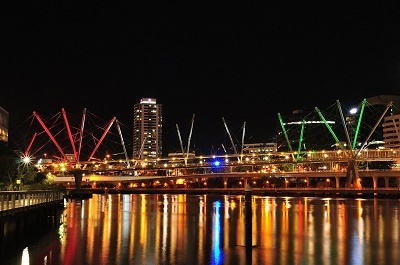 Brisbane is the cultural capital of Queensland and is the third most populous city in Australia. Aside from its growth in population, it is also mostly attractive for young professional expatriates for the employment opportunities in the city. Brisbane has a total population of about two million people which makes it officially the third largest city in Australia. It is one of those highly progressive cosmopolitans that managed to retain its natural beauty. Here, residents enjoy spectacular sceneries, the great outdoors, clean environment and year-round warm climate. The flourishing city was named after the Brisbane River in which it is surrounded. It is in no doubt that expats who love sunbathing are sure to experience a one-of-a-kind adventure – something that expats should not miss! As a part of the sunshine state, Brisbane is home to lots of outdoor adventures for kids. Expats can also spend their leisure time in some of the most visited theme parks on the Sunshine Coast such as the Aussie World in Palm view and the Dream World in Helensvale. Sunny days in Brisbane also deserve a dip in a pool or an artsy stroll at some of the best museums such as the Museum of Brisbane, Brisbane Tramway Museum and Queensland Museum. With its all year long sunshiny days, it's no doubt why Brisbane is the ideal city to host outdoor events. This town has an extensive list of historical and cultural celebrations, family entertainment events, music festivals that mostly take place in the summer season particularly between the months of December and February. One of the most traditional events in this city is the annual Brisbane Festival which started as a celebration of the scenic Brisbane River. Because of its diverse influences and population, Brisbane serves as the host of the Panyiri Festival, a family-oriented event that is being celebrated by the city’s massive Greek population. Aside from those, there is also the much anticipated Valley Fiesta which is an annual three-day event that promotes the Fortitude Valley as Brisbane’s centre for food, youth culture and arts. With the help of the Brisbane City Council, the city is continuously improving its roads and public transportations to minimise traffic congestion. Expats who are looking for accessible car parks are free to reserve parking lots at The King George and Wickham Terrace. Aside from the roads and infrastructures, Brisbane also has an active project for improving bikeways and pathways. An integral part of moving anywhere in the world is ensuring that you have all your right banking needs at the tip of your fingers. The international banking in Brisbane includes one that is such as the HSBC Expat, which offers Online Banking, Online Credit Cards and availability of Automated Teller Machines from all over the city. Make sure to safeguard your finances by choosing a reputable bank while living in the city. Some of the most trusted banks in Brisbane include the Bank of Queensland, Queensland Teachers Mutual Bank (QTMB) (QTMB) and Suncorp-Metway Limited. 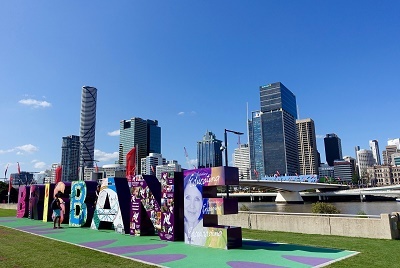 Expats from Europe and US are sure to say that going through culture changes in Brisbane is not that tough as it is an English-speaking nation. In fact, Australia as a whole is known for valuing fairness and ensures that they practice politeness. Brisbane folks are also known for their passion for the outdoors and their love for barbequing. Brisbane, in particular, is also a sun-filled city, and the outdoor lifestyle is sure to take the culture shock away from an expat living in the city.